Vancouver is a world-renowned tech hub with new jobs in every sector. To meet this need, tech education and programming bootcamps are appearing across the region, from Mount Pleasant to the downtown Eastside and North Shore. While it’s a positive sign that more technology training is being offered, it is also becoming harder for people to distinguish between the different options. Each tech training school in Vancouver offers a different experience and commitment level for prospective students. 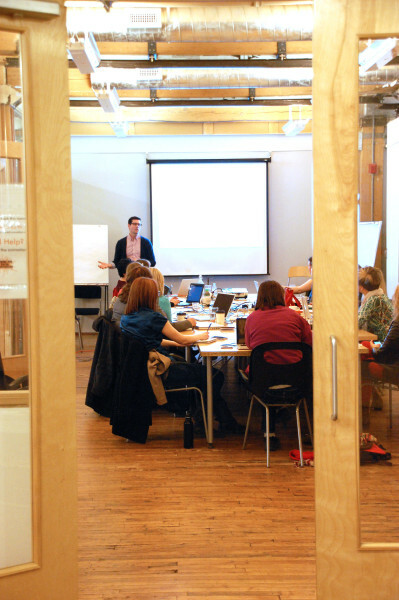 If you’re a beginner, a small business owner or simply want to build your knowledge in a fun environment, there are great programs in Vancouver that will teach you the tech skills you need. Here is a shortlist of places you can learn practical tech skills with little to no coding, programming, or digital experience. 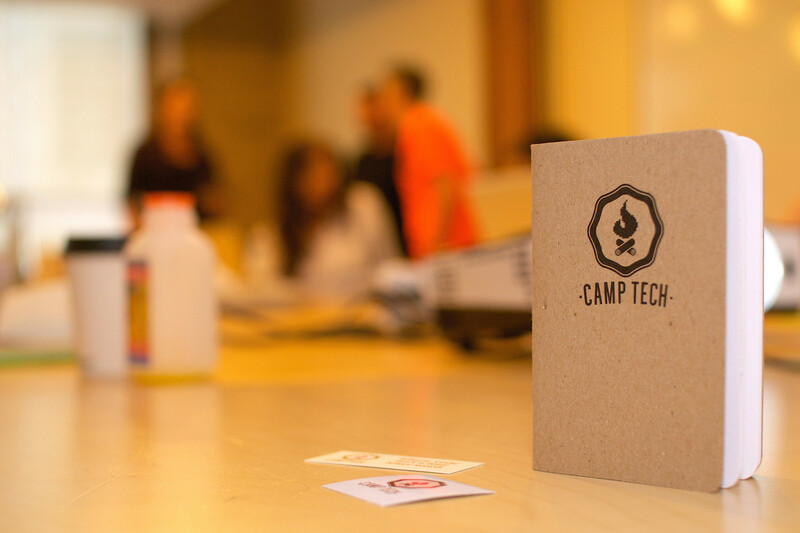 Unlike some training academies that come across as intimidating for someone new to technology, Camp Tech is all about friendly and accessible learning for beginners. They understand that busy entrepreneurs, small business owners and marketing professionals need practical digital training. The majority of Camp Tech classes are three hours in length and they’re offered afternoons, evenings and weekends, which makes it easy to fit into even the busiest schedule. Classes are varied and relevant to today’s digital economy: Email Marketing with MailChimp, Google Analytics and WordPress for Beginners are their most popular classes. The Photoshop and InDesign classes also focus on techniques you can implement right away. Camp Tech offers a wide variety of classes including WordPress for Beginners, Photoshop, InDesign, Google Analytics, Email Marketing with MailChimp, and Writing Killer Content. If you’re interested in learning how to code, Ladies Learning Code (LLC) is the place to start. LLC is one of the bigger players in the tech education market, with classes in over 22 Canadian cities. LLC focuses on teaching web development skills and their low student-mentor ratios make it the perfect place for someone who is interested in a coding career, but hasn’t started yet. 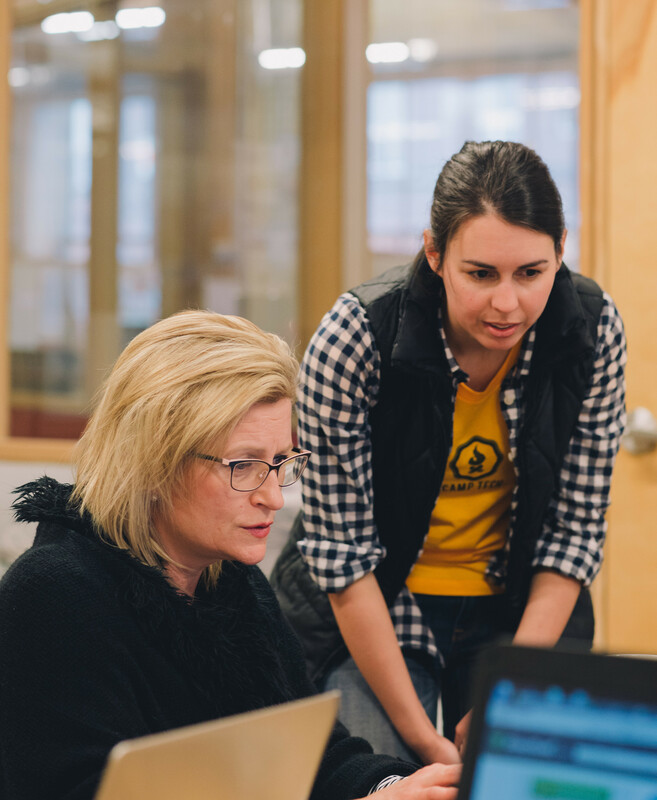 LLC instructors teach the most popular programming languages, including CSS, HTML, Ruby and content management courses like Drupal and WordPress. They also have great programs for kids who are keen to learn coding in a safe and fun environment. One of the city’s best-kept secrets is that the Vancouver Public Library offers technology classes as part of the Vancouver Learning City program. These free classes are perfect for anyone uncomfortable around new technology or who are working within a very tight budget. Topics include Computer Basics, Protecting Your Online Identity, and Getting To Know Facebook or LinkedIn. A few classes are also held in Mandarin and many are geared specifically toward seniors. There are many companies and organizations in Vancouver working hard to close the digital skills gap. Some are training add-ons through retail computer or repair shops, whereas others are academies and bootcamps focused strictly on developing skills. Do your research and ask questions. The right fit for you will be an expert who is willing to meet you at your level and work to get you to theirs.